Oh, reading is so fun. Isn't it? The Geeks shall Inherit the Earth by Alexandra Robbins. I love the idea of this book--that geeks and nerds in high school usually turn out great in the "real" world. Alas, this book is just a little more boring than you want it to be. This is a lovely book. I recommend it. It's about love late in life between a widower and a widow. Did you know the word "widower" is the only word in the English language where the standard word means woman and the special version is for the man? It's the opposite of "waiter" or "actor". Of course it's a word identifying a woman based on her marital status. We've come a long way, baby. At any rate, this book is very beautiful. You should read it. I think you'll like it. And even though the characters are older, it's NOTHING like the hideous ending of The Notebook. I've taken quite an interest in Ryan Gosling lately and as a result I watched the last half of The Notebook on cable the other night. Talk about gross and sad. Blek. Don't get me wrong, I love it when old dying people lay in hospital beds together. I'm sure Christian and I will enjoy a last cuddle at Utah Valley Regional Medical Center right before the morphine drip gets turned up to 11 (which is one more than 10) but it's not something I ever want to watch someone else do. It ruined the movie for me which was probably a good thing because it cooled my obsession (totally platonic) with Ryan Gosling. Now I just think of him as an old Rockford Files. Plus, I don't like men in Henleys. Major Pettigrew's Last Stand is not like The Notebook at all. For one thing, there's no dementia which, I think we can all agree, is a really great thing. This is a great parenting book. You know how young adults are living at home and not getting married or moving out these days? This talks about how extreme helicopter parenting can cripple your kids. It is very good. I recommend it. It explains how our good intentions often ruin our kids. With Nurtureshock, it's probably the most helpful book I've read about raising kids. It talks about how kids need to feel competent and do things for themselves. Have you noticed that kids these days aren't excited about getting their drivers license? It's because their parents drive them everywhere so there is no incentive. We drive them everywhere to be nice and keep them safe, but it doesn't really help them. Kids need to contribute in meaningful ways. I love this book. It is really helpful and seems right even though it is counter-intuitive to our self-esteem-building instincts. I love her illustrated version of The Elements of Style and this is good too. It's a picture book for adults. I was so into this book at first I was like: Yes! I am going to get chickens. YES! I want to raise bees! And then there was the gardening! . . . And then there was the sled dog racing, the making of one's own instruments and the blue grass playing alone outside with the chickens. By the end I was questioning the enthusiasm I had at the beginning. Decide for yourself. I cannot yet testify to the value of this book as a cookbook but it is awesome in terms of staring at the pictures and trying to figure out how they made creme brulee with the filling of 4 Oreos. Just another book I wish I'd written. This is a great little book about writing. I heard the interview on NPR and ordered her book straight away. Obviously I use all of her techniques here on the blog. This is a good book but very sad. It's about bigamy. The main character is the daughter of a man and his secret second wife. This girl becomes friends with his other daughter from his "legitimate" marriage who doesn't know anything about the other family. I could totally relate to the girl's interest when she goes over to the other house: "Is this where your dad sits at dinner?" "What does he do at night?" She even finds out that her dad gave them both the same little fur coat as a special gift. My dad did that with my middle name. Zing! True. My dad is not a bigamist, he just doesn't love me. This book was hard and sad for me. It's very good, but I wouldn't say it's life affirming or anything. In fact, it's quite depressing. Then I read Billy Collins' Horoscopes for the Dead! I totally love Billy Collins and it's not platonic at all. He is brilliant and clever and wonderful. I don't say that very much about poets but in his case it is true and more. 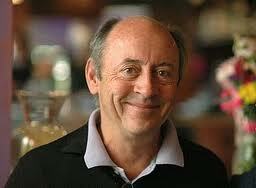 What are you thinking about, Billy Collins? I wish I knew. This book is very strange and kind of great and really ghastly. It would be fun to talk about in a book club. It's a ghost story. I accidentally skipped The Long Winter! Now Laura's all grown up and Almanzo is into her. What did I miss? I heard all the hype surrounding this book before I read it, but I've got to tell you, I think it's great. She's a great writer and a great mom. Yes she is an intense nightmare. No I wouldn't do it her way but I totally respect her. She's very interesting. This is basically a memoir about all the things William Deresiewicz has learned from reading Jane Austen novels. I really liked it. He's very sincere and thorough. It's kind of sweet. I would like to write a book like this but it would be about the education I received from picture books. Chapters would include Alexander and the Terrible, Horrible, No Good, Very Bad Day, Frog and Toad are Friends, and A Bargain for Frances. Lessons learned would include: Cheer up, leave the house now and then, and don't trust your friends. I smell a Pulitzer! That's it. That's what I read during the hot lazy months of July and August. Ugh. I hate summer. Wow. I am seriously impressed you read all of those in two months! I'm excited to add some books to my "to read list". I literally laughed out loud at your picture book education idea. "leave the house now and then" so so funny. I've met Billy Collins! Kind of; it was a very small reading when I was in college and I think I asked a question? But he reminded me of Willy Wonka, funny and great and maybe a little sneaky. He's a delight. First of all, did you know there are TWO blogs called "every day I write the book?" Don't worry, your's comes up first on Google and I +1ed it, so that should help direct readers your way. Lisa gave me "Junk Foodie" for my birthday. It fills me with equal parts repulsion and glee. Parenting books intimidate me. Won't they make me feel bad about what a crappy parent I am? Like when I put the kids in time out and I don't do it the way Jo on Super Nanny does it then I feel like a failure. I can't take the pressure. Also, thanks for the poet suggestion. I LOVE Frog and Toad and Frances and love both of those stories you are referring to. Toad...what a crazy neurotic depressed weirdo! Good thing he has Frog. And, well, no one should mess with Frances. I also like the one where she lures Albert to be her "best boyfriend" by making tons of food for him. I almost put Major Pettigrew down at the beginning when he comes to the door wearing his dead wife's housecoat and his neighbor gets him a glass a water in the cup he soaks his dentures in and so it tastes minty, but the writing was so good I didn't. I liked it, too, even though old people love isn't my favorite. I think I would have liked Her Fearful Symmetry if I hadn't liked Time Traveler's Wife so much. I was hoping for more. I love Major Pettigrew also. The others look interesting - maybe I will come across them and think, "Wow, that's the one Kacy recommended!" In reality, I will probably forget the titles. I can't even remember the titles of the books I just read!! But it's nice to read your reviews! "Blue grass playing alone outside with the chickens." Ha! Remind me not to let you review any books I write. If I write any. I'm also too lazy to drive my kids anywhere, which is probably the only reason they've been motivated to learn to ride bikes. HOWEVER, my 14yo doesn't want to learn to drive when he's old enough, because he knows I'm planning to make him run all my errands. When our first child turned 16, she got her license the next day - and started doing the grocery shopping and did the school shopping for the "little kids" too! She enjoyed it though, and when she went away to college, child number 2 did not want to go grocery shopping even!! So sometimes it doesn't work! I* keep coming back to check, but my books is still not on your list. An oversight I assume. And evidently I still cannot type. "The happiness project : or why I spent a year trying to sing in the morning, clean my closets, fight right, read Aristotle, and generally have more fun" by Gretchen Rubin. I loved it and I think it is your kind of book. If it's not, you could write your own. Two things. First: I love that you referenced "Spinal Tap". Very cool. Second: These are my favorite posts of yours. I have not read a book in at least two months and I needed something to get excited about. Thanks! Did you know that Ryan Gossling used to be on the Mickey Mouse Club? Kind of ends my crush on him. What about your Wade Robson obsession? The twins in Her Fearful Symmetry creeped me out and made me hope my twins aren't like them. Such a great post, Kacy. I loved reading about what you've read and am also impressed at how much you read in the last two months. Nice work. And I'm awfully glad you shared.